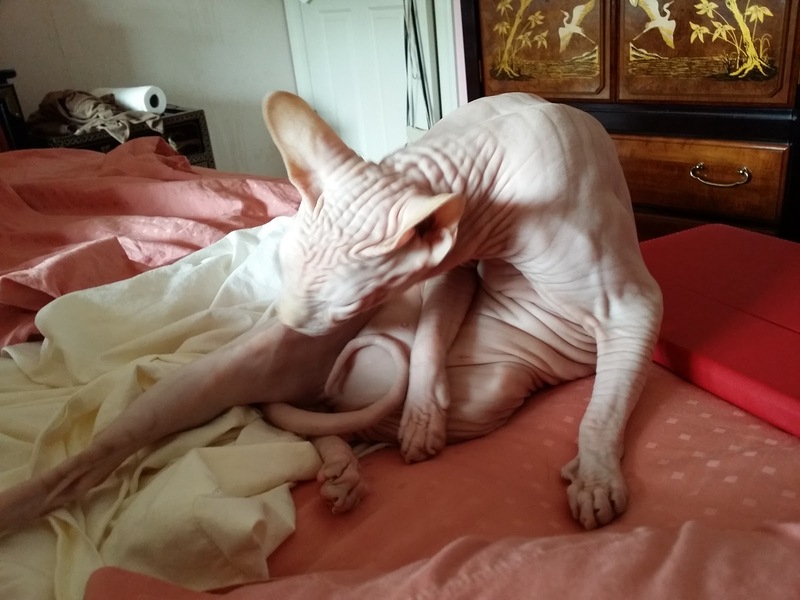 The thing about living with Sphynxes is that you get to see the nature’s design of this noble creature we call a cat. Moshe Moshi is fairly translucent, so if you look at his skin you can see veins, pores and even tiny hairs in goose bumps! Sometimes I swear I can see the bones of his toes! I could just stare at his skin for hours, fascinating. By coincidence of my obsession with the insides of my naked kidz, I found a designer on Etsy.com who seemingly shares my passion. 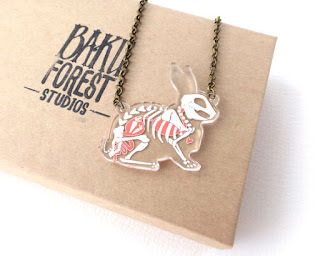 Baku Forest Studios out of the UK (The United Kingdom just in case you didn’t know what the UK stood for or you don’t know anything about geography, Europe, Empire, etc...I'm just sayin') melded their fascination of the inner workings of animals with acrylic art jewelry. 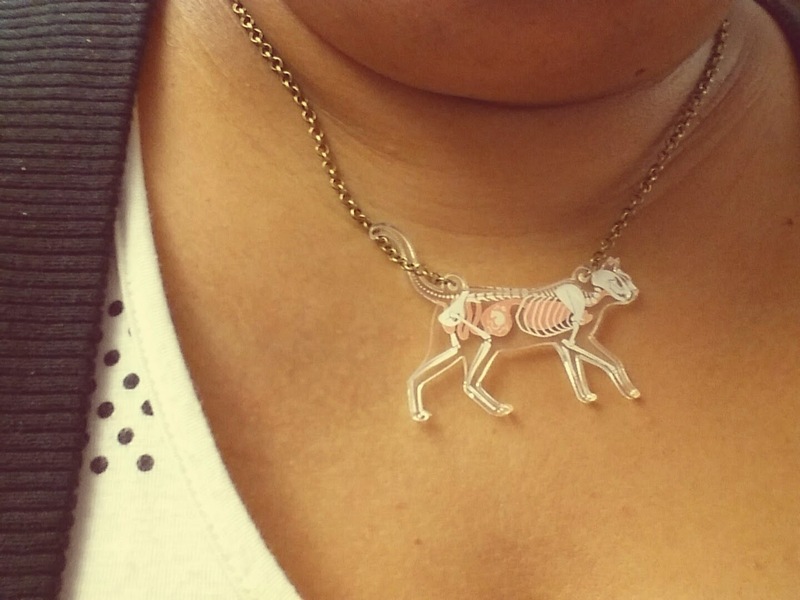 You can’t get much more essential with the inside of Dogs, Cats, and Rabbits than their Skeleton X-Ray series of necklaces. If you look closely, you can see the funny way these creatures look and eat! I purchased the cat (of course), and I love it. And don’t worry big girls and boys. I’m a big girl too, and it fits well around the neck.